The 1st International CCHS Day is over. We managed to accomplish a lot. The most important is that we managed to meet together - 4 CCHS children with their families. That is 1/4 of all the Polish CCHS team, so it's quite a success as for a first time! We hope next time there will be even more of us! The children had a great time together and the adults quickly shared ideas and personal experiences. And all of this happened thanks to Elektronik cinema in Warsaw, which made a screening of the film "Our Curse" especially for us. 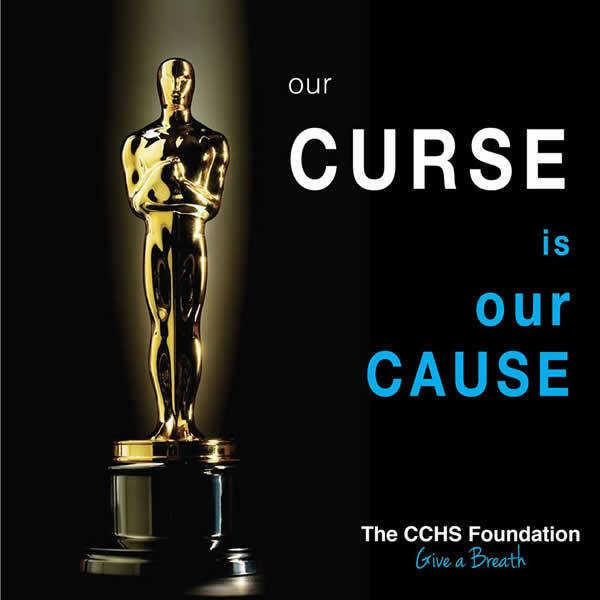 The whole income from the tickets went to Polish CCHS Foundation "Lift the curse". You can still support our foundation by participating in our online auctions! The friendship of Leo and Emilia is in bloom! they don't need any time to tame each other. and the parents have some time to talk in peace. P.S. Thanks to all the wonderful people that helped us in organising the CCHS Day. Without you, we would have never managed to do it!!! Karolina, Emilia, Kalina, Grzegorz, Aśka, Beata, Aśka, Jerzy, Marysia, Ewelina - THANK YOU !!!!!!!!!!!!!!!!!! Tomorrow (November 14th) we will celebrate the First International CCHS Day. 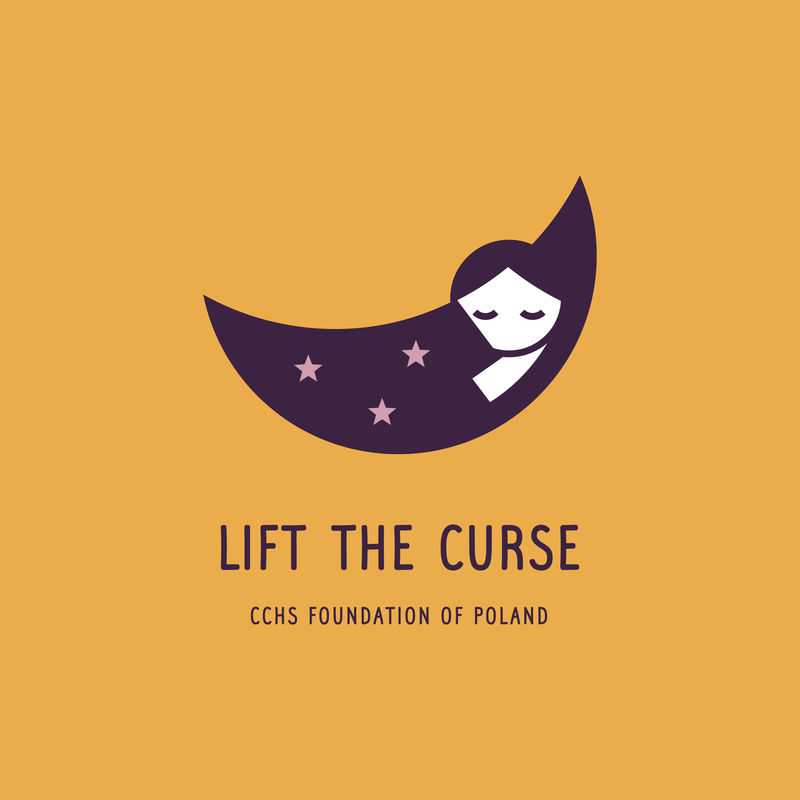 The organiser in Poland is Polish CCHS Foundation - Lift the Curse. USA, France, Germany, Israel, Japon, Mexico, Brazil, Argentina, UK, Denmark, among others. FIND THE CURE FOR CCHS - THE ONDINE'S CURSE. There is enormous amount of energy around and you can also join. Firstly, by participating in the screening of our film "Our Curse" at Kino Elektronik in Warsaw (7:30 pm) - all the money raised from tickets will be transferred to Polish CCHS Foundation. Thirdly, by buying things at mamaplus.pl online shop - all the revenue from November 14th will go directly to Polish CCHS Foundation. We would like to thank all people that are supporting us!!! And we encourage you to participating and sharing this information !!! Leoparents postponed the struggle with the pacer until "later". this week - the second try. who, as the story goes, one day sat down at the empty sheet of paper and pondered. and then carefully he wrote down the dedication, and finally, he drew an island. The most beautiful one in the world!!!! With red soil (Africa? ), palm trees, mountains, volcano, sun, castle and house. Leofamily asks for an immediate transfer to such an island. Now !!!! For at lest a month !!!! P.S. And one more extremely important information!!!! is preparing to celebrate the FIRST INTERNATIONAL CCHS DAY on November 14th. We plan to do auctions, screening of our film "Our Curse", pyjama party and many others. All the information will be available on our website www.zdejmijklatwe.org and on our Facebook Page. Unfortunately, during the 4th night at 4 a.m.
Leo was again connected to the ventilator. Déjà vu, just like almost 5 years ago, when Leo first came home. "It takes a while for the pacers to start working. So don't be alarmed at first." - wrote recently one of the CCHS moms. Leoparents are trying not to panic and not to loose hope. During the night - they fight, during the day - they enjoy the weather. Piece of cake turned out to be slightly stale . he went back north, staying in touch with Leoparents by SMS / email / phone . According to the initial plan. (apart from the virtual contact Uppsala - Warsaw ). Unfortunately, there is no support from Polish doctors. and carbon dioxide measuring device, and they all alternately beeped till dawn. were tuning the equipment by themselves and were searching for optimal settings. Leo slept a second night connected to the pacer. Leoparents didn't sleep at all during the second night. such a change always takes time. Fingers crossed still needed !!!!! The pacer was turned on!!! Leo fell asleep connected to a new device. He slept the whole night with it. No problems with accepting the change. The parameters of ventilation were perfect. and drew up reports every 15 minutes. He didn't close his eyes for the whole night! Everything is working as it should! who helped us getting to this moment. Today Leofamily stays alone with the new equipment. Today is the first night. The most beautiful and at the same time disturbing image in the world: Leo asleep. Without a ventilator. towards getting rid of part of the cables and pipes. We are turning on the pacer!!!! It regenerates like a mushroom. It grows like a mold. on the west it ends up in the kitchen. Every Saturday morning it is totally rased. Every Saturday at noon it arises from ruins. was a vacation meeting of Leo and Mateusz. Mateusz is a 1.5-year-old boy, who also struggles with CCHS and also some other illnesses. He has a tracheostomy, ventilator, broviak, stoma. He has also great parents and two wonderful sisters. You can read about him on his blog: Oddychaj Mateuszku (unfortunately it is only in polish). 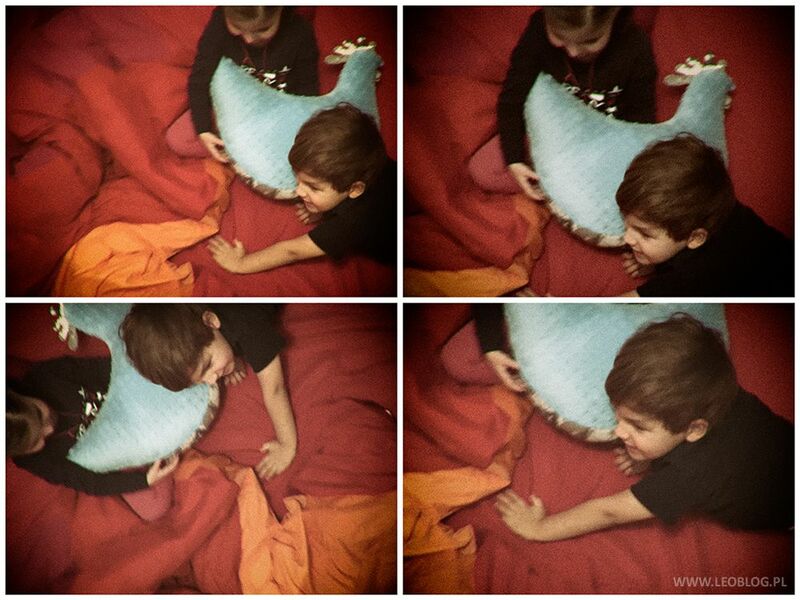 and Leo was totally charmed by Mateusz's older sister Hania. He was even showing off in front of her! He did things he does not do normally! For example, he jumped off the stairs! And I guess he succeeded. Because Ania was looking at him all the time. And as a goodbye, she spontaneously offered him her little plush dog toy. but his interest in them is usually very limited. But the dog from Hania is something completely different. At once, he got a name! Leo gave him a name "Lamp". And then the other plush dog, the older one, who was called just "Little dog" before, felt jealous. So he also got a name - "Locomotive". And then it triggered an eruption of new names. The ventilator got a name "Picture" and the giraffe - "Globe". And it all became very complicated. so how do you call the locomotive and the lamp? And what is the name of the globe? "Giraffe"?